There's no doubt that beef is something of a behemoth in the minced meat world. Lamb and turkey do occasionally enjoy some time in the sun, but pork mince remains somewhat overlooked. While there are many reasons to embrace this unsung hero – pork mince is delicious, generally lean and cheaper than its aforementioned meaty counterparts – the most common factor in holding people back is simply not knowing quite what to do with it. Fortunately, this collection of pork mince recipes contains plenty of inspiration for cooking with this fantastic ingredient. 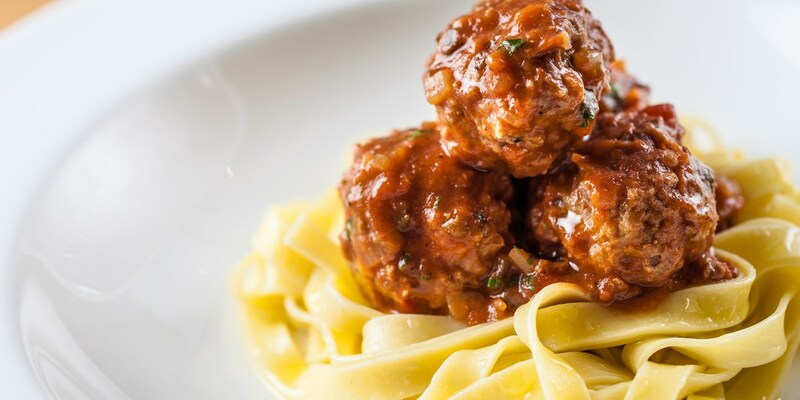 Meatballs are a fantastic way to use up pork mince, whether simmered in pasta sauce as seen in Dominic Chapman's Spaghetti meatballs recipe or, as Louise Robinson demonstrates in her Japanese pork meatball recipe, flavoured with ginger, garlic and chilli and served with noodles or rice. If you always find yourself drawn more to snacks than meals, Russell Brown has sorted your Sunday lunches for life with his fantastic Pork and apple sausage roll recipe. Served large as a centrepiece, this dish combines the flavours of a sausage roll with the majestic presence of a beef Wellington.